The Royal Oak really is a genuine free house, without any form of ties to breweries or other suppliers. It is owned and run by Steve, Anna and Pat. We only buy and sell what we believe offer the highest quality at the best possible value. We enjoy a reputation for first class home-cooked foods and an imaginative menu utilising local produce. 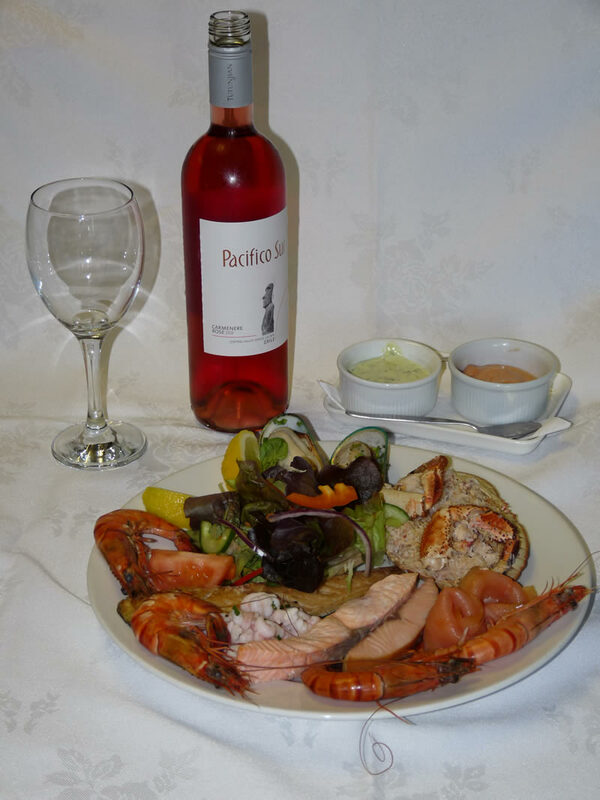 You will also find a wide and varied selection of wines which have been priced sensibly to allow you to choose something complementary to our extensive menu, or indeed just to enjoy on their own. We’ve always striven to offer new, different, high quality and, most importantly, good value wines from entry level right up to top end wines. Everyone’s palate is different. Here at The Royal Oak, we each have our favourites but we’re all agreed that we would be happy to drink anything on this list and indeed we have. All wines are tasted numerous times before we list them; some even run out before they make it to the list. We alter our list on a regular basis to allow us to highlight one-off specials. These wines are bought in as special one-off parcels or bin-ends that allow us to offer something different, unusual, or downright un-missable at seriously attractive prices. They won’t last forever, so if there are any wines that you feel you can’t live without, buy some and put them in your own cellar for a rainy day. Ask Steve for a price. We are able to offer most of our wine by the glass due to having a Le Verre De Vin wine préservation machine. This amazing machine will keep wines in tip top condition for at least three weeks once they are opened. We stock wines from all over the world to suit every palate and a great selection of cask beers, ciders and lagers, which complement our food perfectly. We hope you enjoy them as much as we do.